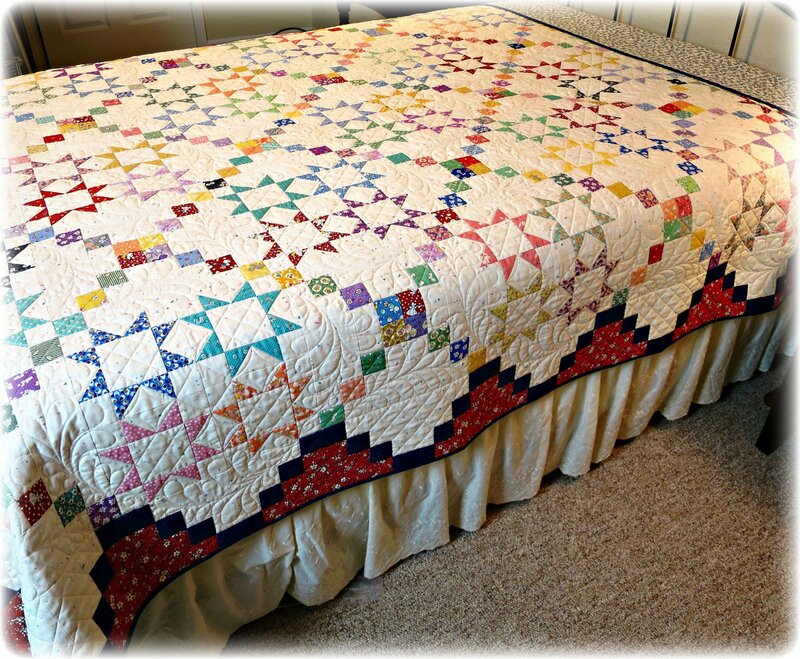 Make this quilt with 30's reproduction prints or choose your favorite colors. Blocks are 12" x 12" finished and border blocks are 6" x 6" finished (are you curious how that works?). The border blocks go on as you sew the rows of 12 " x 12" blocks together. So when you sew all your rows together, the borders are already on the quilt. Makes so easy! You can customize your quilt to any size you want and the borders will be perfect.